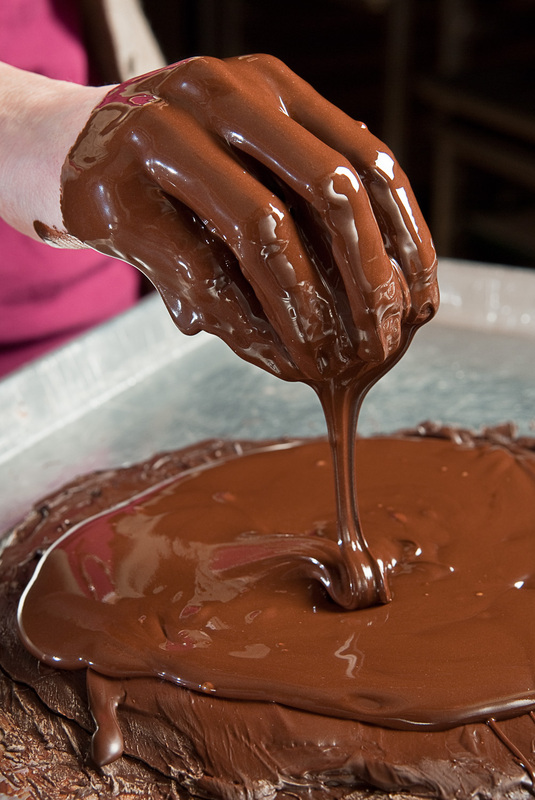 Laughing Moon Chocolates offers FREE chocolate dipping demonstrations and sampling each day at 2pm. This fun and informative demonstration is open to the public and geared toward the young and young at heart. Come see what our chocolatiers are creating today! Located at 78 South Main Street in Stowe Village, stop by any time to see and taste what the chocolatiers are making. We are open daily from 9am-6pm. The following workshops are offered at Laughing Moon Chocolates! Please call 802-253-9591 with questions or to schedule an experience. 48 hour notice is required for all workshop reservations. Scheduling is dependent upon the availability of a chocolatier. A one hour hands-on workshop for couples, families, and groups of all sizes. You will prepare and dip chocolates of your own choosing and take home what you make! Here are some of the possible chocolates you will dip or create, depending on the availability of that day: caramels, buttercreams, truffles, turtles, bark, clusters.